Are you an eCommerce Manager, Digital Marketing Manager or a Revenue Manager? Are you planning for the New Year? At Milestone we help many Digital Managers across our portfolio manage their digital marketing and have seen common challenges that are now no longer necessary with our new solution. We find marketers often struggle with organizing their digital marketing tools –such as Web Analytics, Paid Search, Social Media, Online Reputation Management, Email Marketing, Search Optimization, Phone Tracking and Website content management systems. Each of these tools has its own unique login, user interface, reports and costs. The report creation process required to combine all of this data can take anywhere between 25-40 hours per month, resulting in a major loss of productivity. Managers can now be far more productive if they spend that time actually analyzing reports rather than creating these reports. Moreover, these tools don’t provide managers with a single intuitive interface to view all the reports together. Which Marketing Channel is Effective? What is the ROI? Managers also find it hard to understand the productivity of all of these marketing channels and their return on investment. Managers are unable to visualize what’s truly impacting their marketing performance. Is it the paid search campaign they ran last month, or did the email campaigns impact the website traffic, or is the revenue down because you have had a steady decline in your review ratings? At Milestone, we looked at all of these challenges and developed a solution to address these pain points. Unalytix, our digital marketing and distribution channel analytics software platform, helps managers bring together digital marketing and key performance data to make informed decisions. The key performance data includes Revenue, Room Nights, ADR, and Spends and the tool displays the data in an intuitive interface. Managers can now optimize digital marketing channels from a single screen – your website, Local Listings, Paid Search Campaigns, Social Media, Online Reputation and Email Campaigns. eCommerce Managers and Revenue Managers can now visualize what’s truly impacting their marketing performance and connect their marketing data with distribution channel performance. Unalytix’s Digital Marketing platform is the perfect solution to bring together all your marketing data in one cohesive display. The Distribution Channel Analytics Module allows the Director of Sales and Marketing to view, share, and compare their revenue contribution trends. 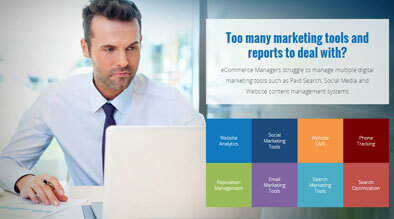 Managers can now discover the highest ROI channels and make smarter decisions about where to invest marketing dollars. Unalytix allows you to identify and compare your top and bottom performers and uncover true reasons that impact your marketing performance across your portfolio. Now managers can view performance data in a consistent format across brands to compare apples to apples, gathering insights that matter and identifying emerging trends. By using Unalytix, you will be able to bring all of your digital tools together; review all of your digital marketing and revenue contribution KPI’s in a single interface. Moreover, the tool will provide you with preformatted reports, so you can actually spend time on analyzing rather than creating reports. You will save time and considerable dollars by being more productive. We have seen that Unalytix has reduced tools cost by 50%, reduced reporting cost from ~$2,500 a month down to ~$200 per month, all while helping drive significant revenue increases. For more information and a demo request, please email us at [email protected], visit us at www.milestoneinternet.com/unalytix, or call us at 1-866-615-2516.